There are many products found in the home that are perfectly legal to buy at the store but that also contain substances that have psychoactive properties when they are inhaled. These include cleaning fluid, spray paint, glue, and a number of other products typically found in the household. The intentional inhaling of the fumes from these products to achieve some sort of “high” is a process commonly referred to as huffing. How Are Household Aerosol Sprays Abused? What Are the Risks of Using Nitrates to Get High? What Happens When You Inhale Gases? About 68 percent of inhalant abuse occurs in people under 18 years old. Inhalant abuse reached its peak in the 1990s, but is still a potentially dangerous problem for young people today. The term inhalant is reserved for substances that are rarely if ever are taken to achieve some sort of “high” by any means other than inhaling them. These include solvents, gases, aerosols, and nitrates, in a number of other different household substances. Inhalant abuse occurs in a variety of ways. Typically, inhalants are breathed in through the mouth or nose. Abusers may snort fumes from the container, place a chemical-soaked rag in their mouth, inhale fumes from a bag (either plastic or paper), or use some other form of technique. The high from inhalant use lasts only a few minutes, but abusers will try to extend the high by continuing to inhale repeatedly over long periods of time. Younger individuals (ages 12-15) who begin this practice most commonly abuse spray paint, glue, shoe polish, lighter fluid, or even gasoline. Older adolescents (ages 16-17) who begin this practice more commonly used nitrous oxide products. Adults who engage in this practice most commonly use nitrates such as amyl nitrates. There are potential serious consequences associated with inhalant use. There are reports of permanent brain damage; damage to the lungs, liver, and kidneys; and even death due to fatal cardiac complications in first-time users and in individuals with prolonged inhalant abuse issues. 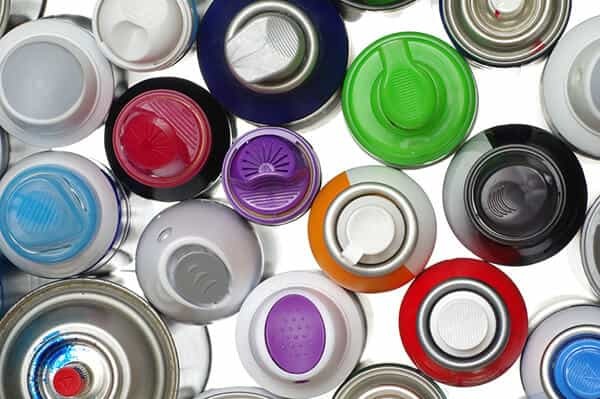 If individuals who abuse inhalants begin using other drugs, such as alcohol and tobacco, they will have a much higher probability of developing serious substance use disorders than individuals who do not use inhalants with other drugs. Does Inhalant Abuse Produce Tolerance and Withdrawal? There has been a bit of controversy regarding whether or not the abuse of inhalants leads to physical dependence. The notion of physical dependence, which may or may not be part of a syndrome of addiction (a moderate to severe substance use disorder), is a manifestation of two primarily physiological reactions as a result of chronic drug usage. These two reactions are tolerance (the need to use more of the drug in order to achieve the effects achieved at earlier doses) and withdrawal (a series of physical and psychological symptoms, mostly negative and distressing, that occur when one stops using the drug abruptly or cuts down the dosage). A 2011 study in the journal Substance Abuse and Rehabilitation that used data from the very large National Epidemiologic Survey on Alcohol and Related Conditions databank found that nearly half of the participants who met the criteria for inhalant abuse or addiction reported experiencing at least three clinically significant withdrawal symptoms. These included psychological symptoms, such as anxiety, depression, mood swings, and hallucinations or delusions, as well as physical symptoms, such as sweating, nausea, vomiting, insomnia, chills, fever, and headache. Thus, the data indicates that there may be mild withdrawal symptoms that occur in individuals with chronic inhalant use disorders. It was noted that in above the study, a good portion of individuals experiencing these withdrawal symptoms continued to use inhalants to avoid experiencing the symptoms as opposed to quitting use. This is a common shared experience among those who abuse drugs that have the potential for withdrawal symptoms. Do not get angry or panic; aim to remain calm. Speak in a calm and even tone. Do not try to argue with the child. Those under the influence of inhalants may become violent if excited or angered. Try to minimize environmental stimulation to avoid causing aggression or hallucinations. Try to keep the individual as still as possible because any activity or extreme physical stress can lead to cardiac issues (e.g., sudden sniffing death). Keep the person in a well-ventilated room. If possible, try to determine what the person was using. Talk to other individuals or check the area to find out what was being used. If the person is unconscious, call for emergency medical services immediately. CPR should be administered until medical professionals arrive if the person is not breathing. Once the situation is resolved, be honest about your concerns. Discuss the issues regarding inhalant abuse and the need for professional help. Seek help from professional mental health workers and enroll the child in an appropriate substance abuse treatment program.